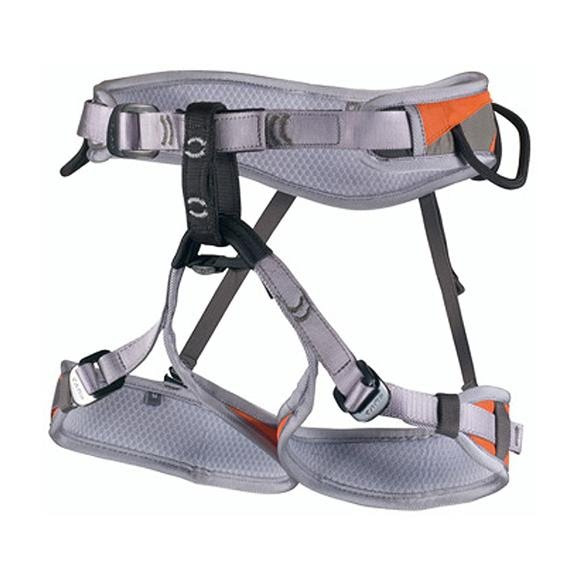 The Jasper CR3 is a popular harness due to its combination of comfort and versatility. A great all-around harness, it features a sliding waist system that allows the padding and tie-in points to be perfectly centered. The Jasper CR3 is a popular harness due to its combination of comfort and versatility. A great all-around harness, it features a sliding waist system that allows the padding and tie-in points to be perfectly centered. The new contoured cut provides great support during extended hanging sessions and rock climbers will appreciate the stiff, webbing reinforced gear loops that keep gear close to body on the back and at the ready near the front.